A quarter-century of excellence in quality, innovation and reliability lead to silver anniversary milestone. 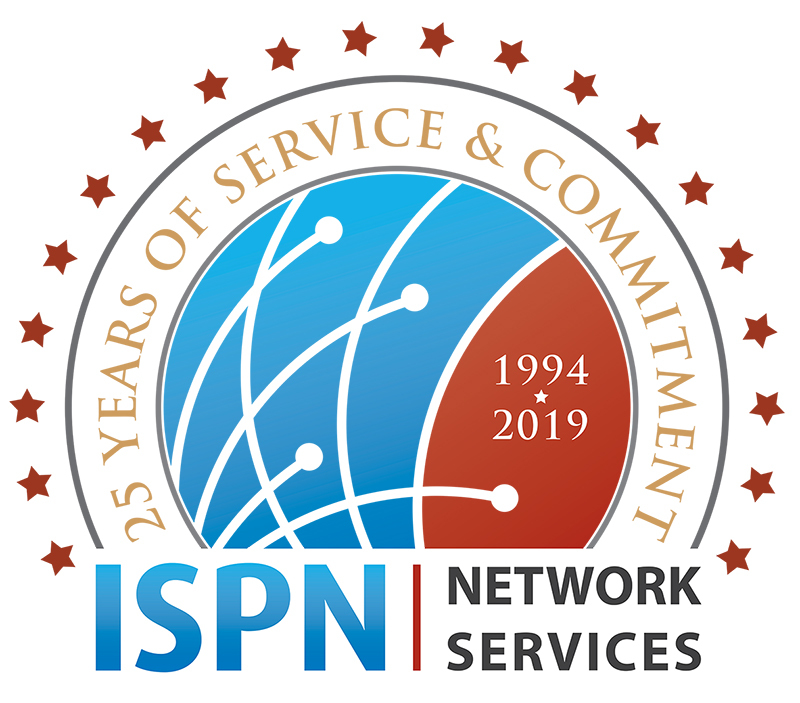 ISPN Network Services, a leader in managed ISP services to rural Telephone and Cable providers and Municipalities across the country will celebrate 25 years of service in 2019. Through consistency of quality, reliability and innovation of service, ISPN has achieved substantial growth over the past quarter-century. ISPN recognized the need of support for companies offering Internet services in the early 90’s. As early adopters of providing these Internet services, there were many issues for end-users connecting to the network along with a learning curve for the ISP itself. This was the company’s motivation for providing a resource for ISP’s to keep their customers connected and satisfied. From its inception in 1994 to present day the motivation remains the same: to provide the highest quality end-user and network services for broadband providers across the country. ISPN has achieved this by its ongoing commitment to excellence and strong customer loyalty. The company is led by the original founding executives and has maintained its privately-held ownership throughout its history. This has allowed ISPN to control key strategic and business decisions that have ensured a consistent focus on meeting the specific business needs of its customer base. ISPN’s logo has gone through multiple transformations over the years with the “modern sail” logo being present for most of the last twenty years. More recently it has expanded its headquarters which include its call center, data center, engineering and administrative offices. ISPN’s HelpDesk, NetEngine, NetPatrol, eScout and eTech services work in concert to provide broadband providers with a hands-off solution to the back-office ISP environment. As broadband operators gain more efficient processes though ISPN’s services, they increase productivity, reduce operational costs and can provide their end users an essential and exceptional experience. ISPN has plans to celebrate the silver anniversary with their employees, customers and industry throughout the year.